Once we can relax, we then need to consider the posture. It is easier when we are not moving like when we are doing Zhan Zhuang站樁 (Standing mediation), for example we stand straight with the hands holding a small Qi ball in front of Dantian丹田, from the head to the centre of between the legs and our feet in shoulders width all should be in one sraight line. On the top of the head we have the Baihui point百會 and between the legs we have the Huiyin point會陰. On the soles of our feet we have the Yongquan points涌泉. These acupuncture points are very important as help the Qi flow better. If the Qi can flow from the head down to the feet, and then from the feet back up to the head, without any blockages, then we are very healthy. If we have any stiffness then we have blockages in our body. If the blockages stay too long it will create pain and if it stays a very long time then it can cause internal damage. So we must clear up our blockages. It is like a car, we need to service it once in a while. The more we use it the more often we need to service it. To clear the blockages we need Qigong. 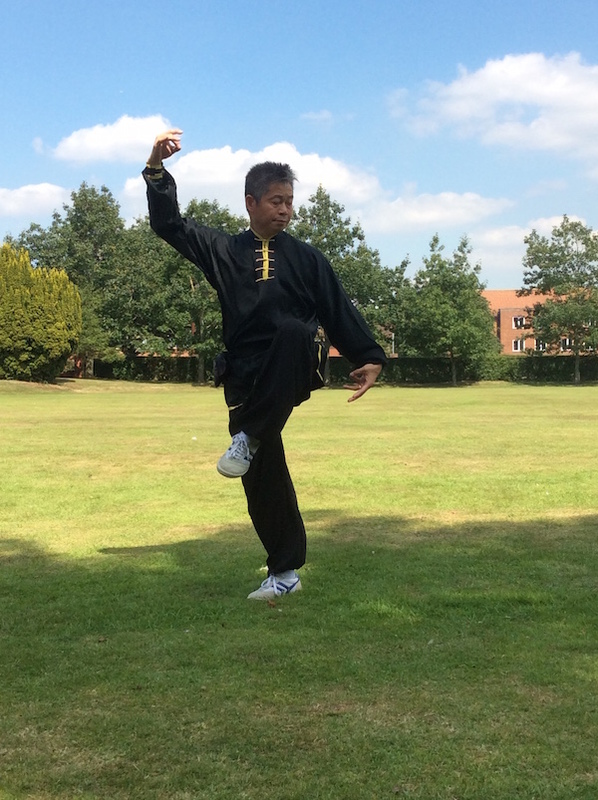 By practising Qigong we can find our blockages and clear them with our own Qi. This is so empowering, showing us how, as we learn to relax more and more deeply during our practice and as our posture improves, we can take responsibility for our own health. Thank you, Lee.